Discovery of Ocean Waves off Earth? It seems that just about every week or so scientists are discovering something weird out there in space. Some of these discoveries are more exciting than others, i.e., finally discovering water ice on Mars or discovering a star that’s potentially the size of the orbit of Saturn. But then sometimes new discoveries come and go and few people pay attention to them. I would like to talk about one such discovery: the discovery of possible ocean waves on Saturn’s largest moon, Titan. Could these possible waves be caused by Titan’s winds or something else that lies beneath? 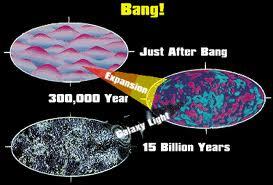 Cosmic Inflation now has the ‘smoking gun’. Scientists, from left, Clem Pryke, Jamie Bock, Chao-Lin Kuo and John Kovac smile during a news conference at the Harvard-Smithsonian Center for Astrophysics in Cambridge, Mass., on March 17, 2014. The measurements were taken using the BICEP2 instrument at the South Pole Telescope facility. Now we wait as the scientific community deliberates these findings and maybe, just maybe, we have confirmed more of Einstein’s brilliance. It looks as though we may finally go to a ‘local’ body that will hold many surprises and in astronomical distances Europa is so very close. Europa is just begging us to visit and the Europa Clipper is one mission. This artist’s impression of Europa makes the place look more exotic than Mars.